Over the course of my emergency/urgent care career I’ve dealt with many different injuries and illnesses seen commonly during the summer months. I’d like to share some of my thoughts on making this a very safe summer for everyone. Sunscreen – Almost everyone who spends time out in the sun must wear sunscreen to block the harmful, damaging effects of the sun’s ultraviolet rays on our sensitive skin. Use a sunscreen that offers protection against both UVA and UVB rays and has an SPF rating of at least 30. Apply it liberally and often (at least every two hours). Parents, protect your kids’ precious skin. Insects – Beware of the many summer bugs lurking out there. For mosquito protection, use a repellant that contains DEET, which when used as directed is safe for adults and children over 2 months of age. Regarding the stinging insects such as yellow jackets, wasps and honey bees, avoid them if they are in your vicinity. If you do get stung by a honey bee (which is the only one of the stinging insects that leaves a stinger behind in your skin), remove it as quickly as possible by any means possible. It is now okay to just pull it out with your fingers and not waste time finding something with which to scrape it off. Immediately apply ice to the sting. When out in a woody or grassy area always check your entire body for ticks when you get home. If you find one, remove it as soon as possible by getting a pair of tweezers, grabbing the tick close to the skin and pulling it straight out. Poison oak – The best protection is to recognize it and avoid it. If you come into contact with poison oak with your skin, clothing (including shoes and shoelaces), or garden tools, wash off immediately with soap and water. Poison oak oil must be washed off of your skin within a few minutes in order to avoid the dreaded rash. Remember, all parts of the poison oak plant contain the nasty oil, including the leaves, branches and roots. Heat – Heat exhaustion is manifested by extreme sweating, fatigue and cramps. Heat stroke (a life-threatening condition) is manifested by lack of sweating, red hot skin, and a very high body temperature. Both conditions can usually be prevented by drinking plenty of liquids and avoiding direct sunlight as much as possible, especially between the hours of 11 a.m. and 4 p.m.
Water safety – 4,000 Americans drown every year, mostly men by a factor of four times more than women. Alcohol is frequently involved. Make sure the kids are supervised in the water every single minute. Watch out for rapid currents, rip tides, rocks, and always be aware of your surroundings. Boat injuries claim another 700 American lives a year. Drive your boat sensibly, have enough life preservers on board and do not drink alcohol and drive. Bicycling – Wear a helmet! No matter how obvious this bit of advice is, I still see people riding without a helmet and I really cringe when I see children without this life-saving protection. Head injuries are often very serious, if not deadly, and are inexcusable for lack of a helmet. Be aware of your surroundings and be in control of your bike at all times. Don’t take foolish chances. Eating – Summer picnics can be a common source of food poisoning manifested by vomiting and/or diarrhea. Food left out too long is the usual culprit. Handling uncooked chicken or eating undercooked chicken is also a common source of this illness. Driving – We all drive more during the summer. The cheapest form of life insurance while you are in a car is the good old seat belt. Wear it! Make sure your children are in proper age-appropriate car seats. Handheld cell phone use while driving your car can be deadly and is now illegal. Don’t break the law. Have a very enjoyable safe summer. Over the years of my emergency/urgent care career I’ve dealt with many different injuries and illnesses seen commonly during the summer months. I’d like to share some of my thoughts on making this a very safe summer for everyone. Sunscreen – Almost everyone who spends time out in the sun MUST wear sunscreen to block the harmful, damaging effects of the sun’s ultraviolet rays on our sensitive skin. Use a sunscreen that offers protection against both UVA and UVB rays and has an SPF rating of at least 30. Apply it liberally and often (at least every two hours). Parents, protect your kid’s precious skin. Insects – Beware of the many summer bugs lurking out there. For mosquito protection use a repellant that contains DEET which when used as directed is safe for adults and children over 2 months of age. Regarding the stinging insects such as yellow jackets, wasps and honeybees, avoid them if they are in your vicinity. If you do get stung by a honey bee (which is the only one of the stinging insects that leaves a stinger behind in your skin), remove it as quickly as possible by any means possible. It is now OK to just pull it out with your fingers and not waste time finding something with which to scrape it off. Immediately apply ice to the sting. When out in a woody or grassy area always check your entire body for ticks when you get home. If you find one, remove it as soon as possible by getting a pair of tweezers, grabbing the tick close to the skin and pulling it straight out. Poison oak – The best protection is to recognize it and avoid it. If you come into contact with poison oak with your skin, clothing (including shoes and shoe laces), or garden tools, wash off immediately with soap and water. Poison oak oil must be washed off of your skin with in a few minutes in order to avoid the dreaded rash. Remember, all parts of the poison oak plant contain the nasty oil, including the leaves, branches and roots. Heat – Heat exhaustion is manifested by extreme sweating, fatigue and cramps. Heat stroke (a life threatening condition) is manifested by lack of sweating, red hot skin, and a very high body temperature. Both conditions can usually be prevented by drinking plenty of liquids and avoiding direct sun as much as possible especially between the hours of 11:00 AM and 4:00 PM. Water safety – 4,000 Americans drown every year, mostly men by a factor of 4 times more than women. Alcohol is frequently involved. Make sure the kids are supervised in the water every single minute. Watch out for rapid currents, rip tides, rocks, and always be aware of your surroundings. 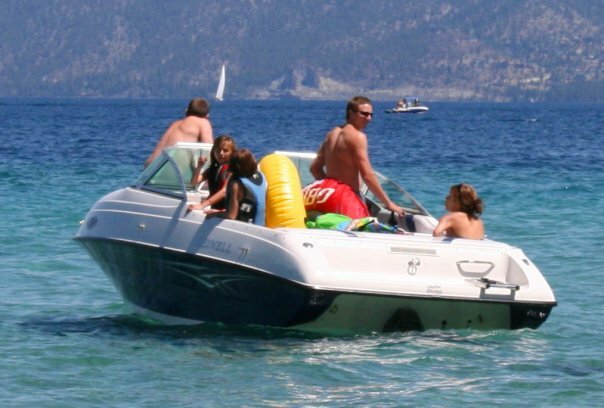 Boat injuries claim another 700 American lives a year. Drive your boat sensibly, have enough life preservers on board and do not drink alcohol and drive. Bicycling – WEAR A HELMET! No matter how obvious this bit of advice is, I still see people riding without a helmet and I really cringe when I see children without this life saving protection. Head injuries are often very serious, if not deadly, and are inexcusable for lack of a helmet. Be aware of your surroundings and be in control of your bike at all times. Don’t take foolish chances. Eating – Summer picnics can be a common source of food poisoning manifested by vomiting and/or diarrhea.. Food left out too long is the usual culprit. Handling uncooked chicken or eating undercooked chicken is also a common source of this illness. Driving – We all drive more during the summer. The cheapest form of life insurance while you are in a car is the good old seal belt. WEAR IT! Make sure your children are in proper age appropriate car seats. Hand held cell phone use while driving your car is now illegal. Don’t break the law.